Samsung’s product strategy not so gently steers you towards a Galaxy S9+ – without the new camera or extra RAM, the Galaxy S9 isn’t a huge upgrade over the S8. So, if you want a compact Galaxy flagship, you’re out of luck. 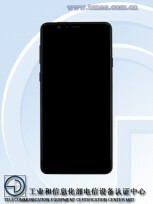 Unless the SM-G8850 is what TENAA says it is – basically an S9 with a dual camera. But there’s a catch. Two, in fact. The phone has a 5.8” Super AMOLED screen, is powered by a Snapdragon 845 with 4 GB to 6 GB of RAM and has a dual 12 MP camera on the back. What more could you want? Well, the truth for one. 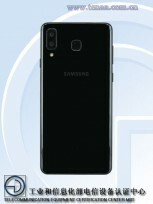 @IceUniverse posted on Weibo that this is actually a new Galaxy A8 and that the specs are wrong. 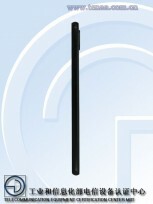 Lending credence to that statement is the fact that TENAA pulled the page with the specs and the photos. Update: Actually, here's a working link. We don’t care if it’s called Galaxy S9+ mini, Galaxy A8 or whatever, but if the Snapdragon 845 spec is accurate and if the camera is the same as the S9+ (dual aperture and all), this would be a great phone for those looking for something more pocketable. The final bit of bad news is that whatever this model turns out to be, it seems that it will be available only in China, but we can still dream of a global rollout. It doesn't seem like Samsung. And that fingerprint scanner... is located too high. Even if it is true, they didn't learn anything from Note8 or Galaxy S8.